We are so fortunate to have the KZN South Coast, often referred to as the Wild Coast, on our doorstep. Having said that many don’t realize how incredibly beautiful and wild it still is so I thought we should share with our wonderful clients some of our very favorite things to do down the South Coast. There are so many to choose from so we thought we would narrow it down to our top 5 attractions. As we love the South Coast so much we are running a wonderful special whereby if you book any South Coast property with us between the 19th September to the 3rd October you will only pay for 2 nights but stay for 3! Don’t delay and book now! This amazing diving destination, rated by Jacques Cousteau as one of the top 10 dive spots in the world, is on every advanced diver from around the world’s bucket list and lucky for us, this is where many get to experience their very first dive. KwaZulu-Natal has its own rocky reef. Roughly 5 kilometres out to sea off the coast of the town of Umkomaas, and half an hour’s drive from Durban. 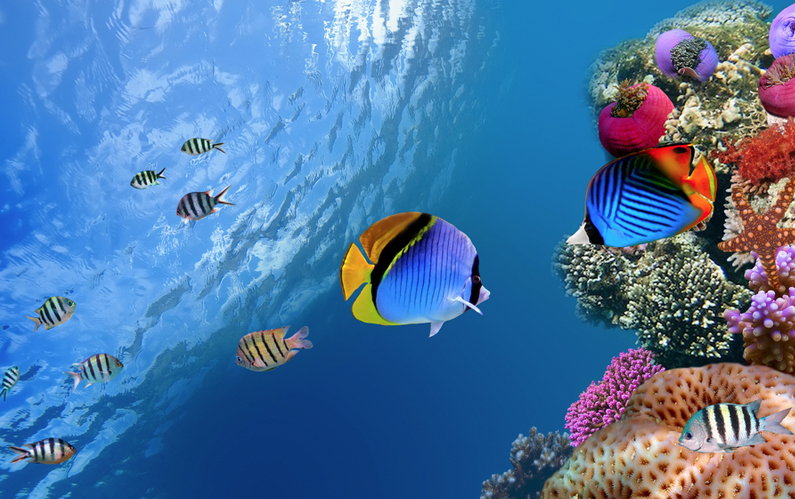 The marine life of the Shoal is spectacular. Raggies (ragged tooth sharks) are regularly spotted between August and November as they use the area to mate. They are, despite looking like hunters of the deep, rather docile. In fact in the history of diving the shoal, there has been no recorded attack from a shark. You are more likely to spot them close to a famous area known as the ‘Raggy Caves’. You can also see mantas, moray eels, huge stingrays, sweetlips, potato groupers and my favorite, turtles! Whilst, with any luck and only at certain times of the year, you can also hope to see dolphins, humpbacks, whale sharks and hammerheads. 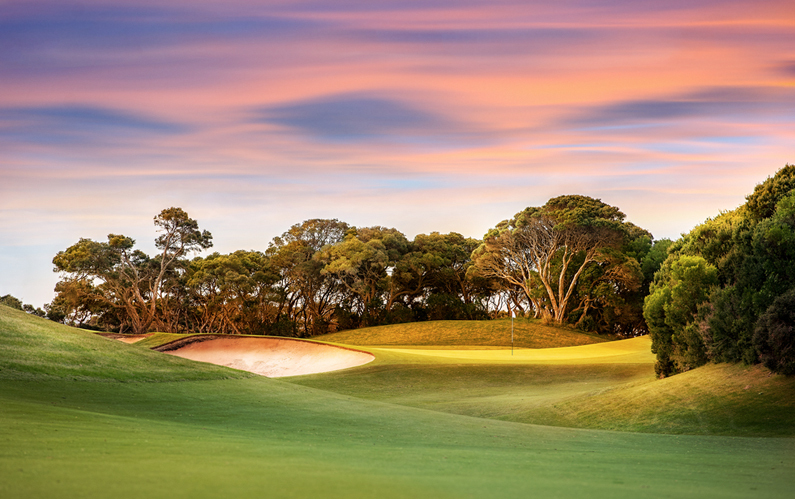 Every budding golfer, no matter what level or reason to play, really should give this amazing Golf Club a visit. Think guys weekend away or ladies weekend away in fact, any and all are welcome to experience the joy of this gentlemen’s game and perhaps a few sundowners at the club house afterwards J Set just south of Durban and on the white sandy shores of Kwa Zulu Natal lies the Amanzimtoti Golf Course and Country Club. Originally opened, in 1915, under the name Isipingo, the Golf Club has a wonderful history and charm to it. The decision to upgrade the course, facilities and clubhouse in recent years has gone a long way to freshening up the challenge for golfers of all abilities and has been very well received. The coastal course finds itself blessed with not only an exceptional audience of birdlife, which include Pelican, Cormorant and Fish Eagle, but also superb conditions to play in and a year round course that is invariably in great condition and rises to the challenge. Golfers will find the course flat and easy on the legs but with a few challenging holes that require good thinking as well as driving ability to master. The outcome of the signature 16th will also be heartily discussed at the 19th. The course has a stocked Pro Shop, as well as pull cart and golf club hire, a wonderful patio and newly refurbished changing rooms and visitors are of course openly welcomed excepting Saturday afternoons. As a child, Crocworld was one of my favorite day trips to go on with my family. I have many memories of the anticipation and excitement that brewed inside of me whilst road tripping through banana farms on my way to go visit the Crocs for the day. Crocworld is an apt name considering that a few hundred breeding Nile crocodiles live there, in amongst a series of snakes, tortoises, waterbirds, flamingos, caracals, jackals, meerkats, a host of different types of birds in a walk-through aviary, and raptors. Obviously the crocs are not in with the latter list of animals, or there would not be many birds and beasts left to tell the tale, but you can see the crocs feeding at 11am and 3pm every day. The sight of several hundred crocodiles basking in the sun can be rather intimidating, but rest assured that they are all safely within enclosures. 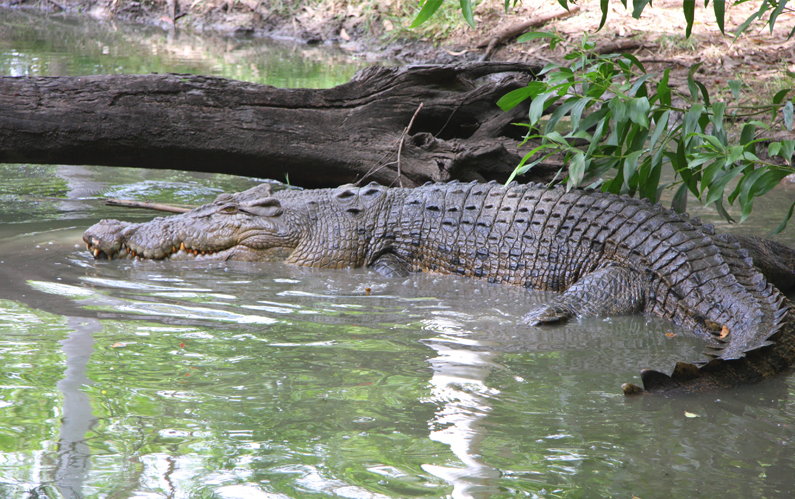 They include a series of alligators, African dwarf crocodiles and the African long snouted crocodile. But the main draw card is without doubt 111-year-old Henry, the oldest croc known to live in captivity and a rather hefty one at that, weighing in at 750 kg. You can enjoy a delicious lunch at the on site restaurant afterwards and if you are anything like my dad, tease your kids by pretending you ordered them a “rattlesnake roll” or a “croc bun burger”. The Oribi Gorge Nature Reserve is a wonderfully scenic area offering excellent hiking opportunities for both beginner and advanced hikers. This area boasts cliffs and forests and spectacular hiking trails and picnic sites. 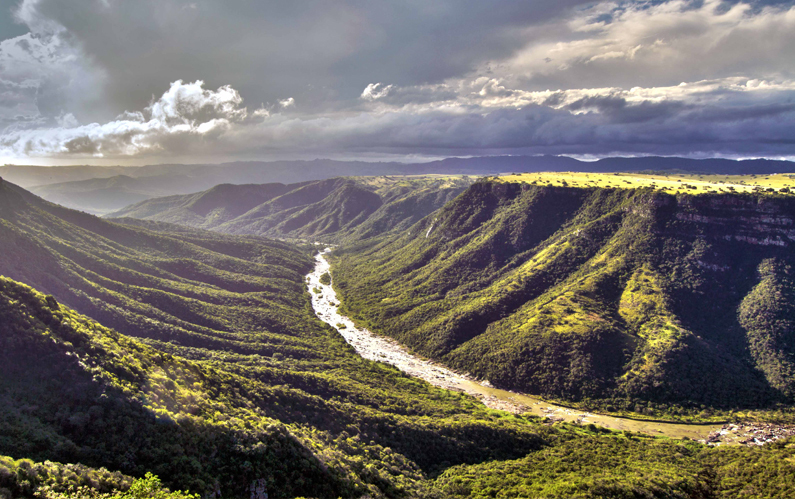 A photographer’s paradise, Oribi Gorge Nature Reserve encompasses forests, rivers, rapids and ravines. High sandstone cliffs dominate this 24km long gorge carved out by the Umzimkulwana River. Leopards, troops of baboons, various small antelope and a prolific birdlife, including five species of kingfisher and seven species of eagle inhabit the reserve. There are several nature trails for the adventurous and a host of things to do. From paintball, abseiling, hiking, bird watching, white river rafting and the famous wild swing for the more adventurous at heart, there really is something fun and special for everyone and there is a vast opportunity to create some amazing moments and lifelong memories. The reserve is open daily and day visitors are charged an entrance fee. 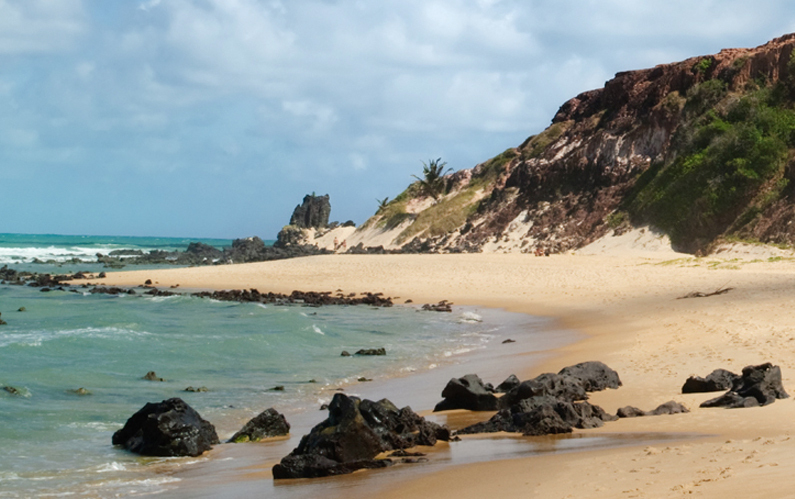 The South Coast of South Africa boasts spectacular beaches, and weather to boot. The warm Indian Ocean waters and the long stretches of sand make for the ideal conditions in which to swim, surf, snorkel, and suntan. Thanks to the lifeguards on duty and the shark nets in place, almost every beach along this stretch of the South African coastline is safe for young and old alike. For very little ones, many of the beaches have tidal pools, which are just full of exciting finds. Low tide in the tidal rock pools was my favorite way to explore the beaches growing up and find treasures that I still have and as a new mom myself I cannot wait to enjoy these tidal rock pools again with my son. The South Coast is also home to a number of Blue Flag beaches, which means that these ones have met strict criteria and are in line with some of the finest beaches around the world. These include Ramsgate, Hibberdene, Margate, and Marina beaches. Thanks to the great waves here, the South Coast is the spot of choice for surfers, both local and international. SCUBA diving, snorkelling and shark cage diving are also popular here, particularly for those wanting a real thrill, while others, like me may simply prefer to watch the dolphins and whales frolic in the ocean waters while building sandcastles or burying Uncle Stuart in the sand while he sleeps. Who are the Red Frogs? The Benefits of a holiday home away from home, with a view of course!